Travel and tourism are one of the largest economic drivers for a state and plays a significant role in economic health. With upwards of 20 million visitors each year to Baltimore City alone, millions of dollars are spent at hotels, restaurants, and attractions throughout the entirety of Maryland. Tourism contributes largely to annual retail sales in downtown Baltimore, bringing in over $1.5B in 2014. As air travel continues to surge in the Baltimore market, Observation Baltimore reached out to local air travelers to gain insight into their opinion of BWI Airport. As visitors flock to Baltimore, it comes as no surprise that Baltimore Washington International Airport (BWI) continues to see significant increases in number of air travelers year after year. According to a recent article in the Washington Post, nearly 22.8 million commercial passengers flew through BWI in the fiscal year that ended June 30, 2014— up 2.4 percent from the previous year. The airport also had a record 116,155 international passengers in June, the highest for any one month in the airport’s history. As air travel continues to surge in the Baltimore market, Observation Baltimore reached out to local air travelers to gain insight into their opinion of BWI Airport; 800 Baltimore area residents were surveyed. Of those surveyed, (85%) travel through the BWI airport at least once a year. 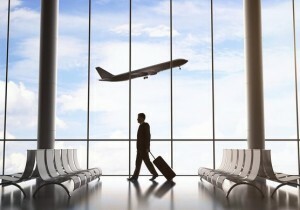 Reasons for travel include pleasure (65%), business (4%), and both business and pleasure (31%). Respondents were asked when traveling for pleasure what destination they chose most often; the most popular destinations include Florida (36%), Vegas (7%), California (5%), and Europe (3%). While only 7% of destinations chose most often were international, (77%) of Baltimore area residents have flown internationally in their lifetime, and of those, (55%) book international travel one or more times a year. Preparing to travel by air can potentially produce anxiety, as we tend to worry about having the necessary documents, wait times for security lines, finding the correct terminal, and having enough time to breathe prior to boarding. Respondents were asked to give BWI a numerical ranking on efficiency of services and convenience (using a 1-10 scale with 10 being the most favorable). The majority (71%) rated BWI with a score of 8 or above for efficiency of services and convenience. Factors such as check-in, security, locating terminal, and airport services were considered. With efficient processes and traveler-friendly services, BWI continues to consistently rate among the most favorable US airports. In 2014, Travel & Leisure Magazine readers rated BWI as 6th among 22 largest airports for customer service and convenience. This entry was posted on Wednesday, September 2nd, 2015 at 5:23 pm. Both comments and pings are currently closed.